Chain link fences are typically created to demarcate property boundary, ward off trespassers, and protect land against wild animals. Since their construction is less time and labor intensive compared to constructing concrete walls, they are preferred by homeowners and contractors. 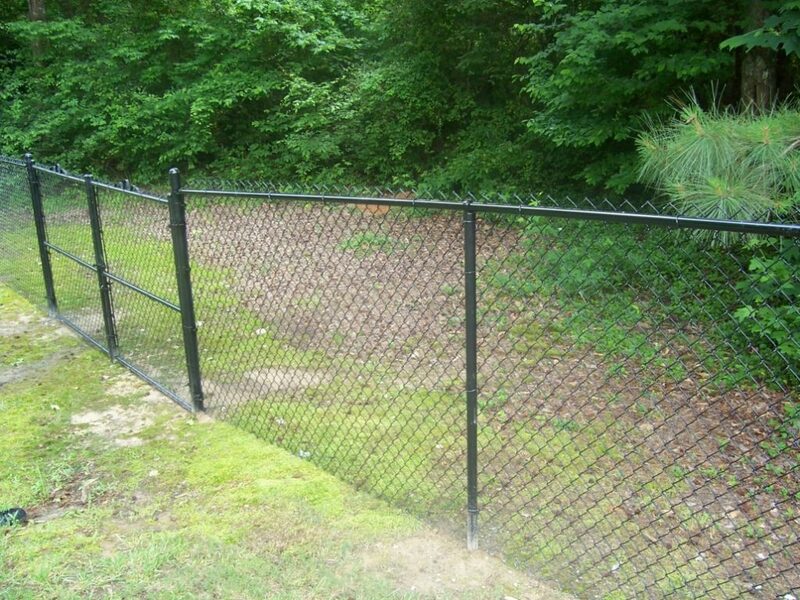 ​Too often, the main dilemma in constructing fences has to do with the uneven ground surface in one’s property. To work around this issue, you will need to have comprehensive knowledge of fence building, most especially if you will be using chain link metal. 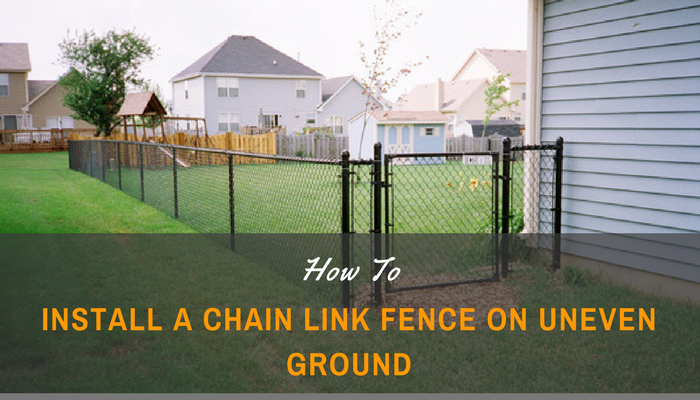 ​In this article, you will learn about the different steps needed when constructing chain link fences on uneven ground. Obtain an accurate map of your property. You may obtain this through your local land assessor's office or you may use your own copy of your land title. Apply for building permits if necessary. Read about building codes and construction laws of your town or city. If possible, inform neighbors and owners of neighboring properties of what you will be doing to set proper expectations in the neighborhood. For a perimeter wall or fence to be sturdy, you will need to build equally-reliable fence posts first. The fence posts will act as anchors for your chain link fence. You need to create two types of fence posts: terminal posts and line posts. Terminal posts are larger in diameter and are located on each corner of your property. Line posts have a smaller diameter and are located between each terminal post. Ask for a post spacing chart from your local hardware supply store. 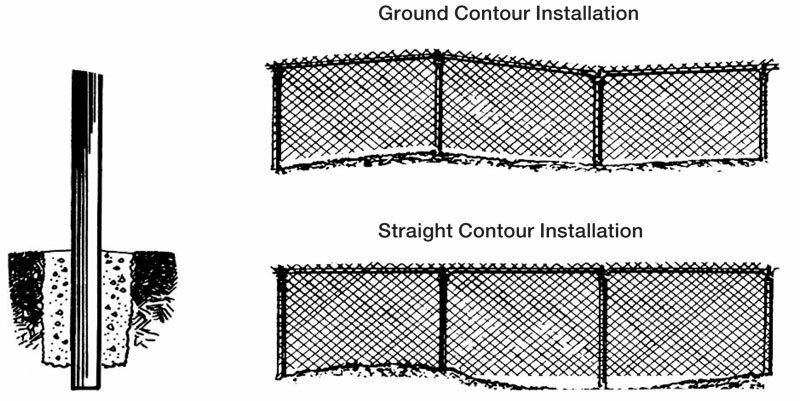 Follow the recommended spacing of line posts depending on your property's perimeter. Once you have determined the different locations for each post, mark them with stakes, and then it’s time to start digging. You may use an electric hole digger at this point or you may use your own hands. For terminal posts, dig holes that are 10 inches in diameter at the top and then flare out to 12 inches at the bottom. Also make sure that your terminal posts are 2 inches taller than your chain link fence. For line posts, dig holes that are 8 inches in diameter at the top and then gradually increases to 10 inches in diameter at the bottom. Also remember that the line posts should be 2 inches shorter than the height of the chain link. Mix cement and pour them into the terminal holes first. Then, put up the metal posts in the holes. Adjust pole height accordingly until the cement hardens. Tie a string 4 inches below the top of a terminal post and then run the string to all other terminal posts. Then, pour cement on other line posts and place the metal poles accordingly. On the part of your property where slopes appear, adjust the line posts’ top portion to meet the line of string running above it. All the line posts should stand at equal height relative to the line of string above it especially on the areas with uneven ground. Allow the cement to harden for a day. First, un-roll only a small length of the chain link fabric (about one foot). Start at a terminal post and begin attaching the edge of the chain link fabric to the post judging metal wires and latches. Stretch out the chain link fabric to the next line post and attach metal latches at the point of contact between chain link fence and metal post.4. Repeat these steps on all line posts and terminal posts. Repeat these steps on all line posts and terminal posts. Once all the chain link material has been laid out around the perimeter, attach cap crowns on top of each fence post. This secures the metal posts to the chain link fabric. Repeat this step on all fence posts. Viola! 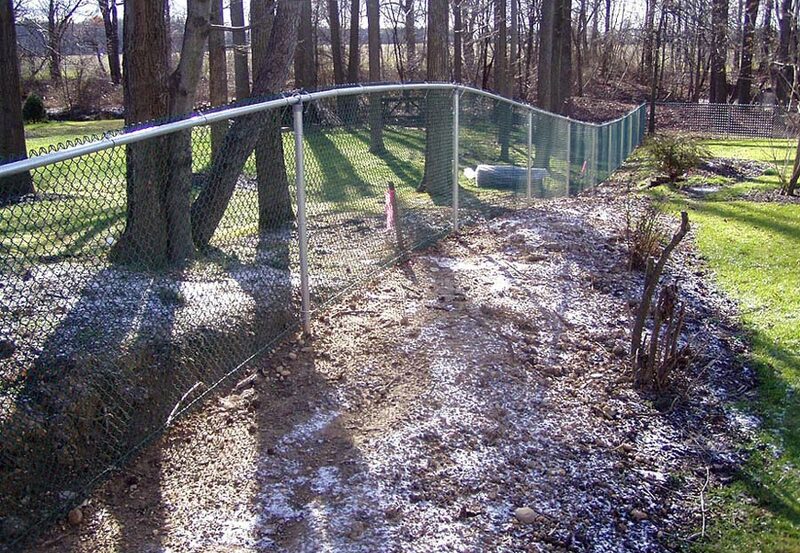 You now have a completed chain link fence specifically suited for uneven ground surfaces. Constructing chain link fences by yourself is not an easy task. But with diligent research and practice, there is no doubt that you will be able to complete it. And with any construction job, always remember to follow safety precautions and do not hesitate to ask for professional help if you think something is wrong with what you are doing.